Light, pliant and packable anorak that protects against cold winds, a smart garment that can be pulled on when out on day trips walking, cycling or paddling. 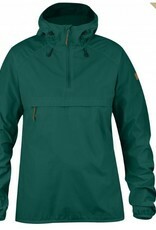 Made from a waxed polyamide and organic cotton fabric that is water resistant and dries fast should it get wet. The style is simple with only the most essential details, all to save weight and allow you to ìpack smartî. The well-fitting hood is adjustable, there is a half-length zipper at the front and a kangaroo pocket that doubles as a pack bag. The sleeve cuffs have elastic edging and thumb holes that keep sleeves in place. Drawcord adjustment at hem. 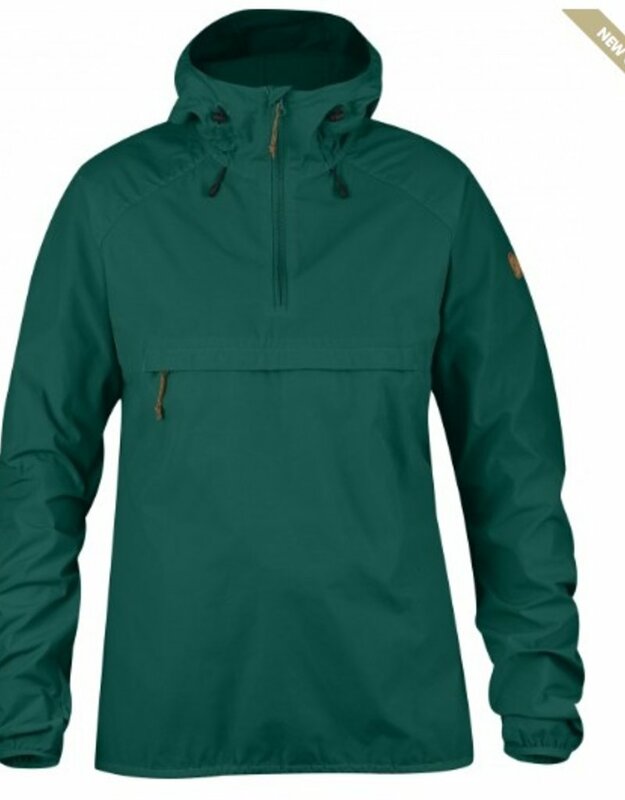 The wax impregnation makes the jacket water resistant; it will keep you dry during light showers but not during a downpour or constant rain.